I’ve not been running for the past week due to a flair up of Plantar Faciitis in my left heel. I jumped my mileage uped bit too much a couple weeks ago, and I have since noticed that the shoes I was wearing on that long run have almost zero arch support. I have slightly high arches and so some arch support is helpful on long runs. I found a great resource for sports injuries, here. I’ve been staying off my feet as much as possible, stretching and icing. Yesterday my heel was feeling pretty good, so, I waited for today to get out on it. I decided that a short run would be best, and since I was going to do a short run, why not do a really short run? So I broke out my minimalist shoes and did just under a mile run. It felt really good. I think I should keep up a couple days a week with short minimalist runs to help build up lower leg and foot strength. This is a big jump from riding a mountain bike. I did a little 5-6 mile ride just to get the feel for it. It was a lot of fun riding something so light and fast. I’m looking forward to getting in some longer rides over the next week or so. This should help out by providing some cross training. More importantly, it is something that I can get into trying out some local triathlons. I’d like to try out a sprint or two and see how I like it. 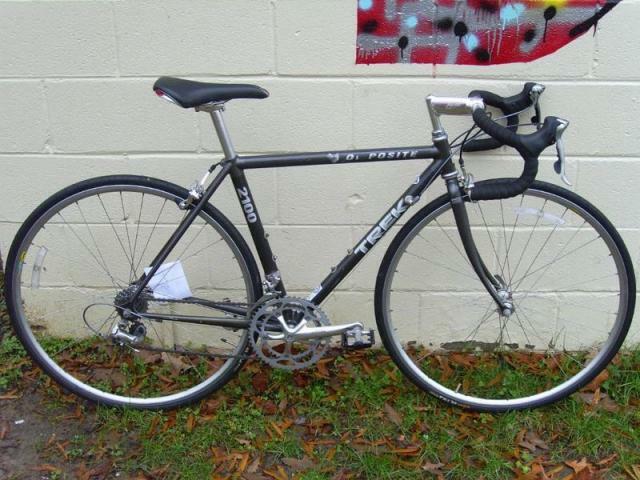 Worst case, it’s a fast cross training bike and one I can ride with other road bike riders that I know. It will also give me the ability to ride a century, 100 mile bike race. Not sure what all I’ll do, but I’m sure I’ll have fun trying. This entry was posted on Saturday, July 16th, 2011 at 15:14	and posted in Uncategorized. You can follow any responses to this entry through the RSS 2.0 feed. « Is running a religion?